Tokyo/Munich. Akio Toyoda, President of Toyota Motor Corporation (TMC), met today with Norbert Reithofer, Chairman of the Board of Management of BMW AG, at BMW Group headquarters in Munich to announce the planned expansion of their existing cooperation initiated in December last year. The two companies signed a Memorandum of Understanding (MoU) aimed at long-term strategic collaboration in four fields: joint development of a fuel cell system, joint development of architecture and components for a future sports vehicle, collaboration on powertrain electrification and joint research and development on lightweight technologies. 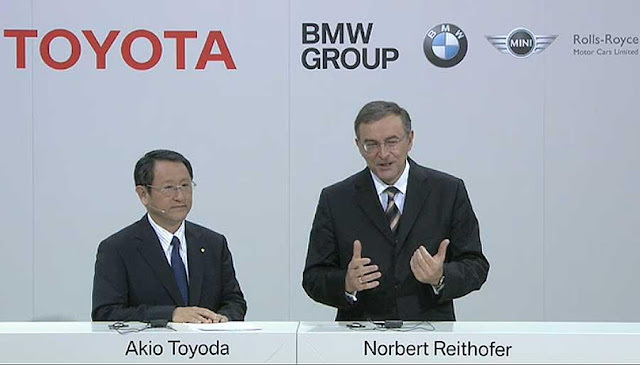 Also today, Norbert Reithofer and Akio Toyoda of TMC both signed a Joint Statement to reconfirm their companies’ shared intention to strengthen the long-term, strategic collaboration between them. Akio also said "Roads make cars. The Nürburgring has taught me so. That is why many carmakers test new cars at the Nürburgring. They develop cars there, while competing against other manufacturers. But at the Nürburgring, there is always a car that passes me. 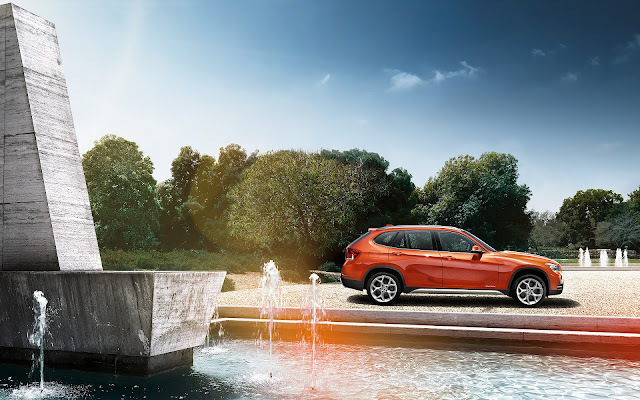 It is a BMW." Akio is a refreshing exec to follow. I think to him, this is an opportunity to simply build better cars - and be "rewarded with a smile".